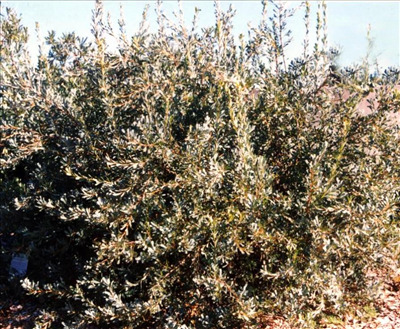 Erect medium shrub with pink-grey flowers in winter and grey foliage. 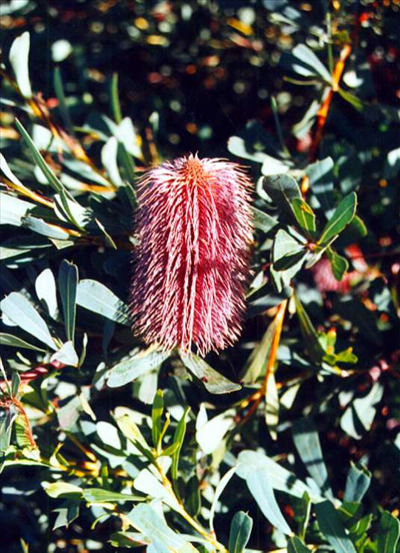 Hardy banksia suitable to most well drained soils and positions. Frost tolerant. Suitable for low windbreak. Excellent container plant.